H&K Insurance offers its customers a variety of specialty coverages to make sure that they are properly insured when special circumstances arise. These specialty coverages include flood and earthquake insurance along with a variety of additional policies that provide needed protection to both homeowners and business owners when unusual events occur. All of these coverages should be carefully reviewed and proper limits of protection chosen to meet your needs. We can certainly help you to understand your potential exposures and guide you to a limit that you feel is adequate for your situation. Click the Coverage below to read more. 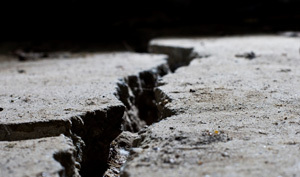 Believe it or not, the Northeast U.S. is earthquake country – while it does not have the high frequency of earthquakes of California, the Northeast has experienced damaging earthquakes in the past and they will occur again in the future. The Northeast has a long history of earthquakes. From when the Pilgrims felt their first earthquake in 1638 up through a pair of damaging earthquakes (magnitude) that occurred in 1940 near Ossipee, NH. And since 1975 moderate size earthquakes have occurred in Central New Brunswick, central NH, northern NY State and Quebec. The bottom line is that this area is more susceptible to earthquakes than you might think. And from our standpoint, it is equally important that you know that a standard homeowner’s insurance policy does not provide earthquake coverage. 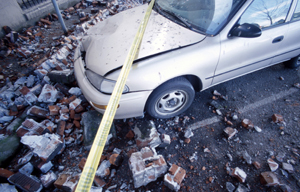 You need a special policy rider to cover damage to your dwelling and possessions should an earthquake occur. If these have concerned you and you would like to learn more about earthquake coverage options, please do not hesitate to contact H&K Insurance Agency today. You don’t have to live near water to be flooded. Approximately 25 percent of all flood insurance claims come from “low-risk” areas. Floods are commonly caused by storms, melting snow, dam or levee failure or water backup due to overloaded drainage systems. Flood insurance is affordable. The average policy costs around $300 annually for about $100,000 of coverage. Flood insurance claims are paid even when a federal disaster is not declared. Bottom line – flood insurance is fairly inexpensive and perhaps most importantly, it will protect you from having to spend lots of money repairing your basement and/or first floor should a flood actually occur. 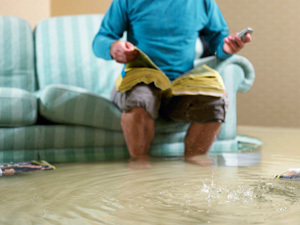 If you’re considering flood insurance, give H&K Insurance a call at 800-890-5606 or email us – we are ready, willing and able to help you properly protect one of your most valuable assets – your home. Click here for a “Flood Preparedness” PDF that will assist you in both planning for a flood and recovering from its effects. Click here to visit FEMA’s website and review resources and insights that they have to offer. 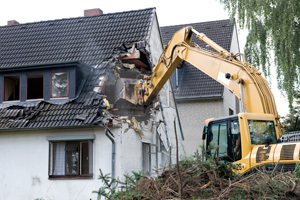 An often-overlooked coverage on many policies, debris removal can be a very expensive portion on even seemingly small claims. We can no longer just come in with a backhoe and a dumpster and haul away the remains after a loss. There are many hazardous materials that need to be dealt with by someone certified to dispose of them. The presence of some of these materials may be known, while others may only be discovered at the time of a loss. The cost for debris removal can often run higher than the actual loss, and in the event of a total loss can be vastly under insured. Here’s an example of a “small” claim – a water heater has reached the end of its life and leaks all over the first floor of a building. The damage is contained in a relatively small area of the building and has only affected the tile floor. The resulting loss is adjusted at $8,000.00 and there is a $1,000.00 deductible on the policy. The problem is the old flooring was installed in 1969 and the tile is vinyl asbestos. 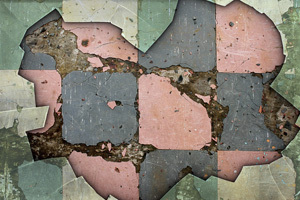 The cost to have an asbestos abatement contractor come in to remove and dispose of the tile is $25,000! The policy allows for 25% of the direct loss or $2,000.00 (8,000x.25=2,000). There is an additional $10,000.00 built into the policy for debris removal if the 25% allowance is inadequate or the policy limit has been exhausted. In this instance the policy would pay only $12,000.00 of the $25,000.00 debris removal cost, leaving $13,000.00 of the loss unpaid. An example of a large claim would be a building with a $1,000,000.00 limit suffering a total loss. The cost allowed for debris removal would be limited to the $10,000.00 allowance as the limit for the building would be exhausted by the cost to rebuild the building. We’ll be happy to review your current situation and help you decide the kind of coverage you should have, just give H&K Insurance a call at 800-890-5606 or email us. Ordinance & Law Coverage provides coverage for three types of losses due to the enforcement of building ordinances or laws; 1) the value of undamaged property that must be demolished, 2) the cost to demolish the undamaged portion and remove the debris, and, 3) the increased cost to rebuild the property to meet newer codes. A policy with inadequate coverage can experience major problems in the event of a partial loss requiring demolition or upgrading to an undamaged portion of a building. These costs are often overlooked and need to be properly addressed to insure your protection. A classic example is the building with a $1,000,000.00 limit has a fire and 50% of the building is damaged. The city’s ordinances state that the remaining portion of the building must be torn down and replaced. The problem here is there was no damage to this portion of the building. The policy will respond with a paid loss for the damaged portion of the building by paying $500,000.00 minus the deductible. The policy that has the ordinance & law endorsement will now provide coverage for the cost to demolish the portion of the building that was not damaged, the cost to rebuild the entire building and any increased expenses incurred to replace the building with one conforming to building laws or ordinances up to the chosen limit. Choosing a limit that will provide enough coverage is very important, an architect, engineer or some other qualified person should be consulted to find out the potential exposure to this type of loss. Talk to an H&K representative to learn more about this offering – call 800-890-5606 or email us. This type of loss can be one of the hardest to prepare for. While the insurance policy provides for replacing buildings and property damaged in a loss, what about the time that your business is closed to make these repairs? How do you pay for this? Just because your business is closed does not mean that all of your expenses stop. The cost of materials may be saved while production is stopped and many employees will not have to be paid during an extended shut down, but some key employees will need to continue working to prepare for reopening. If there are loans outstanding, interest will still need to be paid and some contracts will still require payment, such as advertising contracts. Another issue that you could be facing is obligations to major customers that can no longer be met. 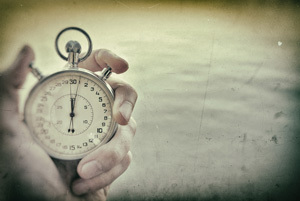 What if your largest customer accounted for 50% of your sales? Assuming that they cannot wait around for you to reopen, they will find another source for the product that you are supplying them. There is no guarantee that they will come back to you once you are up and running again. There is coverage available for all of this. A good disaster plan along with carefully planned insurance coverage will go along way to assuring that your business will survive. A direct loss to your business is not the only way that this coverage can help protect you. Let’s say you run a toy company and you rely on a manufacturer in Japan for a key component in your best selling toy. As we have recently seen, Japan is susceptible to major earthquakes. Your provider’s building has been severely damaged and you can no longer assemble your best-selling toy until your provider is up and running or you can find an alternative supplier. With this coverage and the proper endorsements, you will be able to survive this interruption in production, even if you are able to find a temporary replacement and the part costs substantially more. It is very important to review this coverage and your possible exposures to losses and choose a limit that will provide you with the best possible protection. If you think that your business might be vulnerable to such a cash flow interruption, we should talk about the programs available to protect you. We can help you decide the level of protection that you can feel comfortable with. Give H&K Insurance a call at 800-890-5606 or email us. In this day and age everyone is exposed to the internet and all its inherent dangers. Cyber Liability Coverage protects businesses and individual users from Internet-based risks, and more generally from risks relating to information technology infrastructure and activities. Risks of this nature are typically excluded from traditional commercial general liability policies. 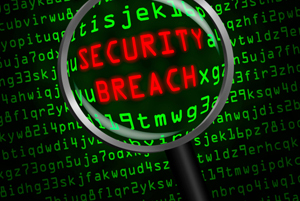 Coverage may include first-party coverage against losses such as data destruction, extortion, theft, hacking, and denial of service attacks; liability coverage indemnifying companies for losses to others caused, for example, by errors and omissions, failure to safeguard data, or defamation; and other benefits including regular security-audit, post-incident public relations and investigative expenses, and criminal reward funds. It’s time to start thinking about protecting yourself from these unseen cyber threats before they become an issue. We can help you decide the level and type of protection that works best for you and/or your business. Give H&K Insurance a call at 800-890-5606 or email us. Directors & Officers Liability Insurance (often called D&O) is liability insurance payable to the directors and officers of a company, or to the organization(s) itself, as indemnification (reimbursement) for losses or advancement of defense costs in the event an insured suffers such a loss as a result of a legal action brought for alleged wrongful acts in their capacity as directors and officers. Such coverage can extend to defense costs arising out of criminal and regulatory investigations/trials as well; in fact, often civil and criminal actions are brought against directors/officers simultaneously. It’s important to have coverage for awards and settlements arising out of wrongful act allegations and lawsuits brought against an organizations board of directors and/or officers. This can include private companies, non-profits, community associations, healthcare, etc. Contact an H&K representative to find out if your organization or company would qualify and how we can help – call 800-890-5606 or email us. 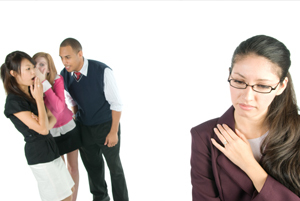 Employment Practices Liability is an area of United States law that deals with wrongful termination, sexual harassment, discrimination, invasion of privacy, false imprisonment, breach of contract, emotional distress, and wage and hour law violations. 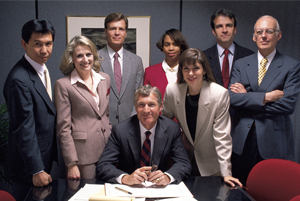 Employment Practices Liability is part of professional liability. As a business owner these are issues that can arise regardless of your business practices. Contact an H&K representative to protect yourself, your employees, and your company – call 800-890-5606 or email us. * All of these descriptions are meant to provide a starting point for discussions. We want to provide you with the best possible protection at the best possible price. Please call and speak to your representative to review any or all of these important coverages.